Where in the World is the Red Necktie? The Red Necktie appears for the first time in May, 2013, at the University of Oklahoma. 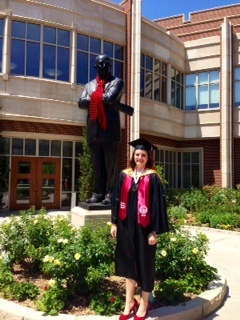 Posing here with a professor outside the School of Journalism is Meredith Donaldson, graduate. 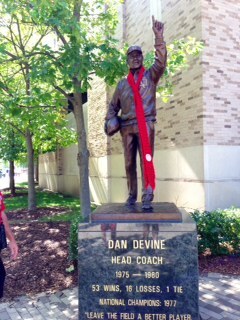 The Red Necktie appears in South Bend, Indiana, on the statue of former Notre Dame coach Dan Devine just after a Sooner win over the Fighting Irish. September, 2013! 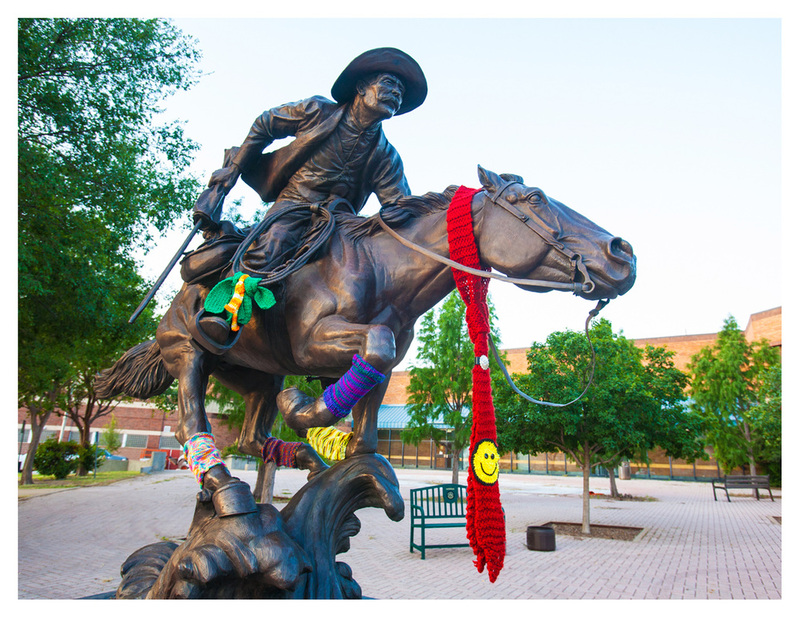 The Red Necktie travels to Enid, Oklahoma, for the September, 2013, Cherokee Strip Celebration. Boomer is running extra fast to stake his claim!